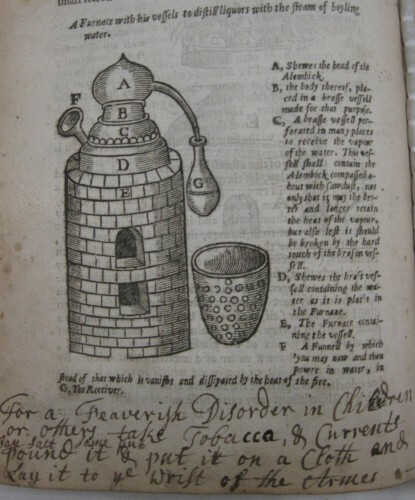 Two aspects of eighteenth-century recipe books that interest me are the use of distillation in domestic medicine and the relationship between print and manuscript sources of medical and scientific knowledge. 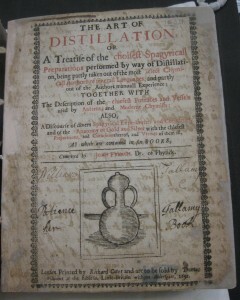 Rebecca Tallamy’s recipe book beautifully illustrates the union of both these aspects as she recorded her recipes in a 1691 edition of John French’s ‘The Art of Distillation’. 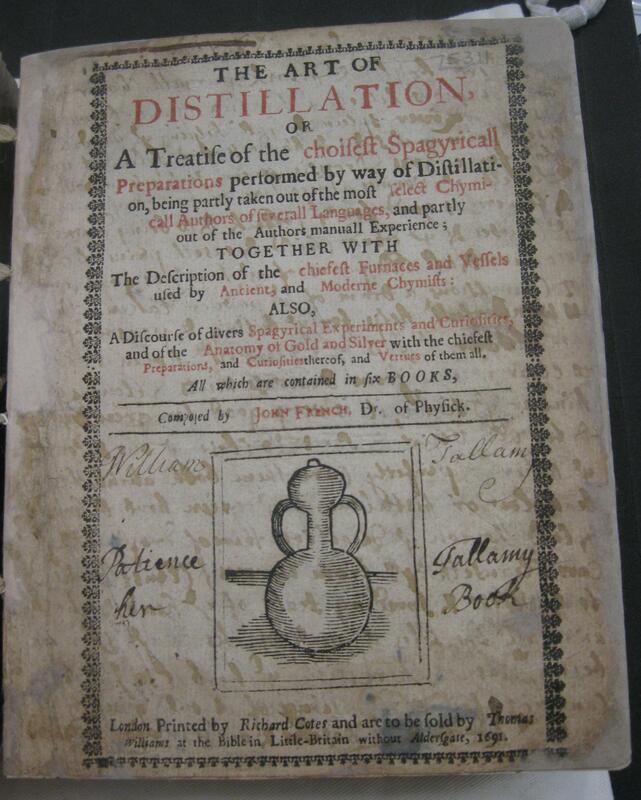 This alchemical guide was one of many published in late-seventeenth and eighteenth-century England, and it reflects the popularity of Paracelsianism and the growth of distillation in industry. 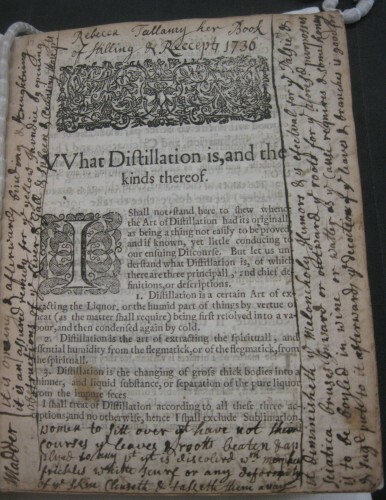 We can therefore use this manuscript to explore briefly the ways in which the household acted as a space where domestic knowledge interacted with social and cultural developments in distillation. Wellcome, WMS 4759, f. 1r. Like many recipe books, this manuscript was a family collection. 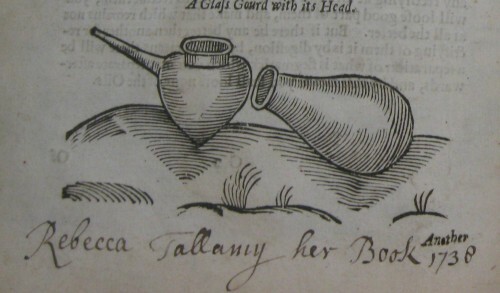 The ownership tag ‘Rebecca Tallamy her book of Receipts’ appears several times, however Patience and William Tallamy were also named as owners. Evidently, the Paracelsian alchemical guide was owned by a member of the Tallamy family and presumably handed down until Rebecca gained ownership, recording her recipes between the years 1735-38. A few recipes were added by a later hand in the early nineteenth century, thus emphasising the multi-generational use of this distillation text/recipe collection. Wellcome, WMS 4759, f. 40v. But, what is distillation? Distillation is a process used to separate mixtures and purify liquids that was used by alchemists and natural philosophers to experiment in hopes of making gold, the Elixir of Life, and a range of medical cures. 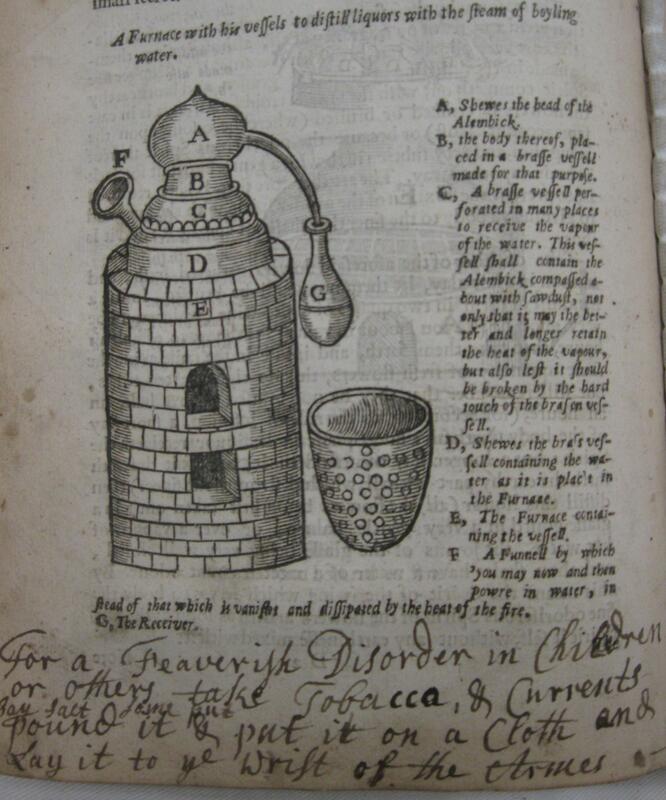 In the seventeenth and eighteenth centuries some elite households had stills for making medical waters, which were used to combat indigestion and low spirits. Wellcome, WMS 4759, f. 2r. The manuscript is approximately 500 pages, and the majority of the pages contain printed text with handwritten additions scribbled in the margins, between figures, and overtop of text. The remaining recipes were recorded on the blank pages added at the end of the book. Rebecca’s additions included culinary recipes, housekeeping notes, and a standard collection of medicinal recipes like ‘For a Feaverish Disorder in Children or others’, which involved a poultice of tobacco and currants wrapped on the wrists (f. 28v.). This simple recipe is juxtaposed beside a detailed figure of a distillation furnace and signifies that, through the act of recording recipes, Rebecca Tallamy engaged with technical instructions on distillation. Moreover, some of her recipes were traditional cordial waters prepared via distillation. I should note it is likely that Rebecca copied at least some of her material from other sources simply because there are many duplicate recipes. 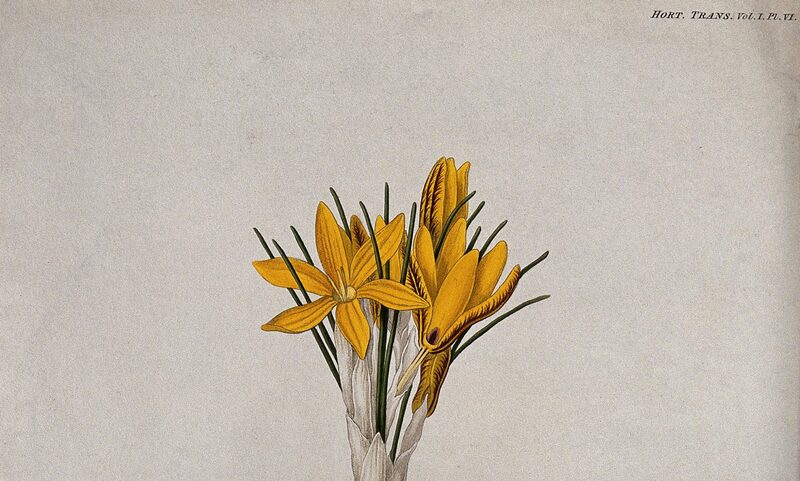 There are also a number of copied botanical descriptions at the end of the manuscript resembling those found in Nicholas Culpeper’s ‘The English Physician’. Far from being purely a collection of recipes, Rebecca Tallamy’s book encompasses several genres and text types, demonstrating the scope of natural knowledge used in the home. Wellcome, WMS 4759, f. 28v. The combination of manuscript and print within one material source highlights the active transmission of knowledge between textul media as well as the value placed on technical guides as sources of household information. Rebecca’s choice to record her recipes on the pages of an alchemical text shows that women were exposed to and could own ‘scientific’ and technical guides, but also indicates her interest in distillation and, more broadly, the continued presence of distillation in the household. Even by the eighteenth century, alchemy had a place in domestic knowledge.